We had informed you about the latest iteration of Windows Home Server codenamed “Vail” , when it hit beta release last year. 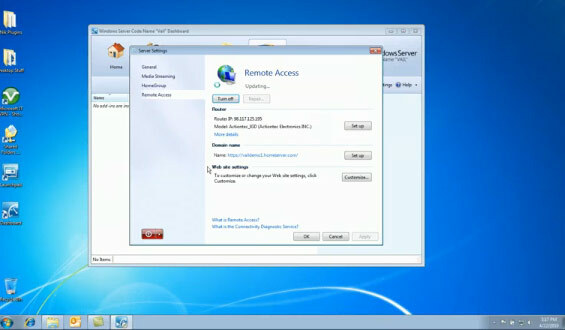 “Vail” — a k a Windows Home Server 2011 — is Microsoft’s home server. Microsoft delivered the Release Candidate of Vail in February 2011. The earlier news in the past about Vail was that Microsoft’s enthusiasts and testers were unhappy when Microsoft decided to remove the Drive Extender functionality from the product. Nonetheless, new features in Windows Home Server 2011 include inclusion of Windows Server 2008 R2 core, compliance with DLNA 1.5, new setup and installation clients, support for Mac clients and support for Windows 7 HomeGroup networking. Next Generation iPad & iPhone to Come Without Home Button ?